When I was a child, there was no such thing as Second Harvest here in Central Florida. The house I grew up in (not far from Fern Creek), provided shelter, but was often not often stocked with healthy foods. Some days it didn’t have any food. That’s just the way it was. I know the feeling of a rumbling stomach, and remember clearly how hard it was on occasion to focus in school because I didn’t have enough to eat. Those memories make it all the more personal for me to promote the excellent work done by Second Harvest Food Bank. 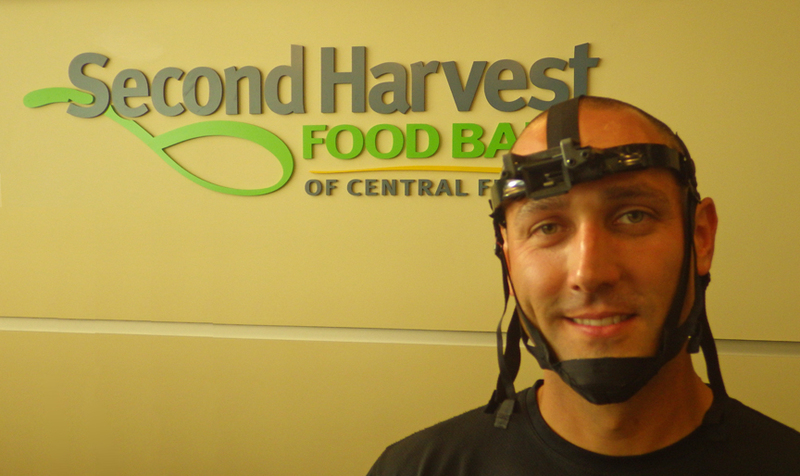 Thursday, May 8th, 2014 from 6:00 p.m. to 9:00 p.m. Second Harvest Food Bank of Central Florida is partnering with Lighthouse Central Florida to host a unique event, Dining in the Dark, to support both their excellent services here in Central Florida. 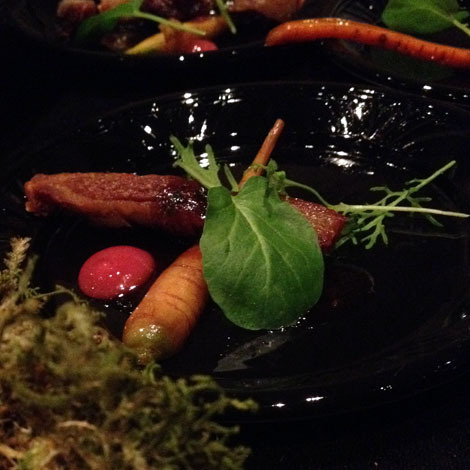 Dining in the Dark is a sensory experience, as well as a dining event like no other. Diners usually expect to be wowed by a lovely presentation, a grill mark or two, or a vibrant color that indicates an amazing meal to come. But what if you couldn’t see the meal in front of you? (And what if you couldn’t take a photo for Instagram!?) 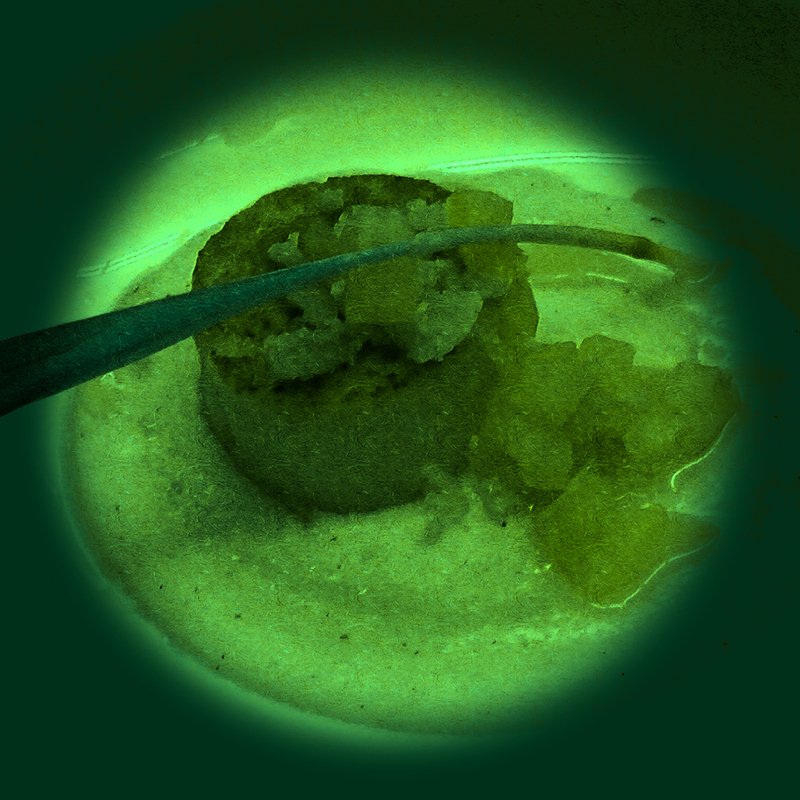 At a Dining in the Dark event, the sense of sight is temporarily blocked. Smells and sounds take on new meaning as you soak in the experience with other senses taking the forefront. Temperature, texture, acidity, sweetness… the sound of glasses clinking, the brush of a server’s arm by your chair… Close your eyes and imagine. The elegant three-course meal will be prepared by Second Harvest Food Bank’s very own Chef Dawn Viola and her team and will be served by the Orlando Police Department SWAT Team (who will need special night-vision goggles to see what the guests cannot!). 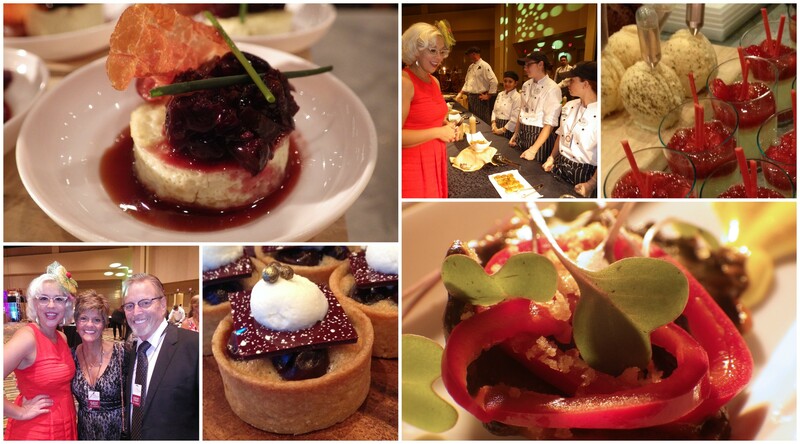 The Dining in the Dark Orlando dinner is an artistic event designed to enhance dining pleasure for sighted guests. Dining in the dark—the daily experience—is nothing out of the ordinary for those with vision problems. Lighthouse Central Florida helps people living with vision loss and blindness in Central Florida and offers them a comprehensive range of services. 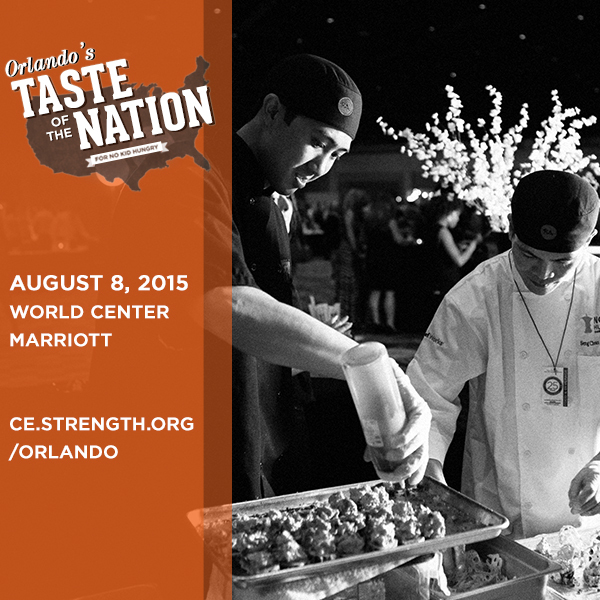 Your ticket purchase price helps fund both organizations: Lighthouse Central Florida and Second Harvest Food Bank. 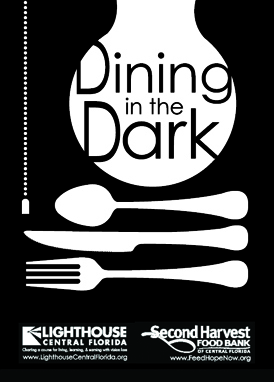 Tickets to Dining in the Dark are $125.00 each to include a cocktail hour from 6–7 p.m. with passed hors d’oeuvres, cocktails, and live music, followed by a three-course gourmet meal prepared by Second Harvest Food Bank’s very own Chef Dawn Viola and her team from 7–9 p.m. Learn more, or purchase tickets by visiting www.DiningInTheDarkOrlando.com. Special offer: Through May 5, purchase tickets for 25% off! No code needed. The new price will show up in your cart. SeaWorld Ports of Call is the place to be Sole (Soul!) 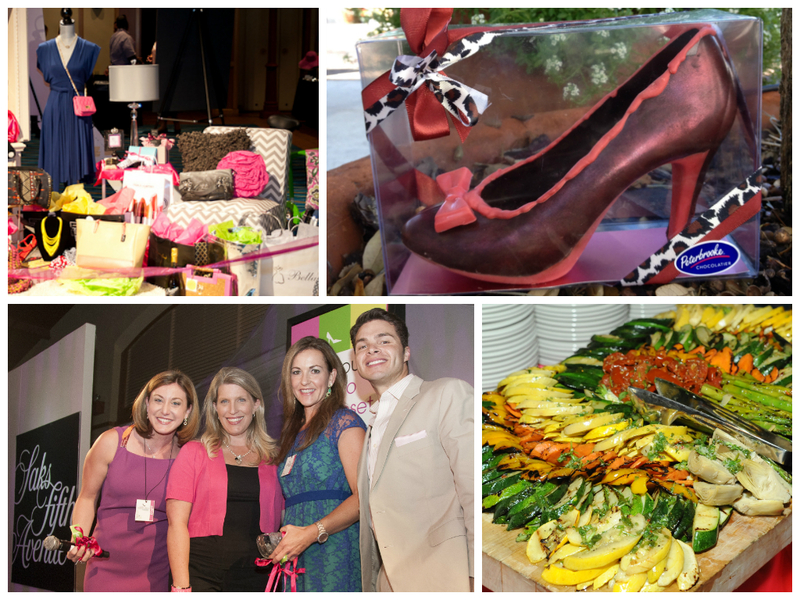 Sisters for Wine, Women and Shoes Saturday, April 12, 2014 from 2–6 p.m. WFTV’s Jorge Estevez will emcee the event for the second year in a row. 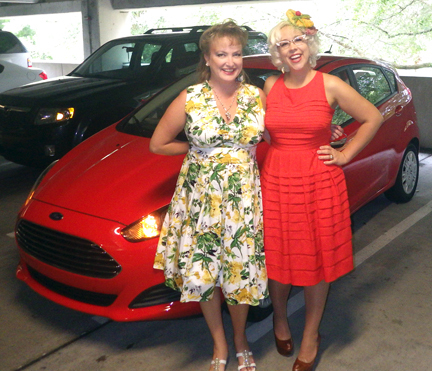 More than 350 local women will be treated to heavy hors d’oeuvres, wine tastings (of course!) and shopping from national and local boutiques (shoes, purses, make-up, and more) with 20 percent of those sales going to Second Harvest. Guests will also enjoy a live and silent auction (I want the chocolate shoe!) plus a fashion show featuring designer Diana Simaan. 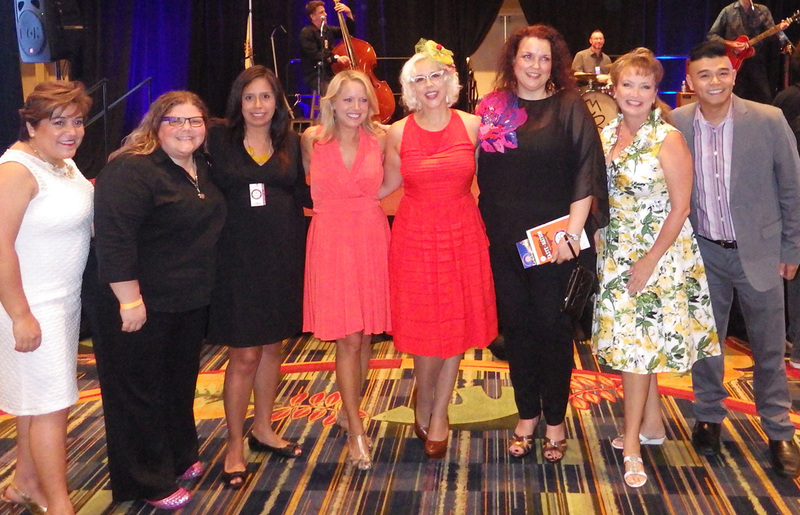 Wine Women & Shoes is the only event of its kind where 100 percent of the ticket proceeds go toward fighting hunger in Central Florida. All said, the event will raise over $85,000 to Feed Hope Now! For every $1.00 donated, Second Harvest can provide $9.00 in food value to those in need. SeaWorld Orlando is once again donating the Ports of Call special events venue, in addition to providing Chef Hector Colon’s food creations*. Also provided are live and silent auction items**, parking, and special guest appearances by Animal Ambassadors and their feathered and furry friends. 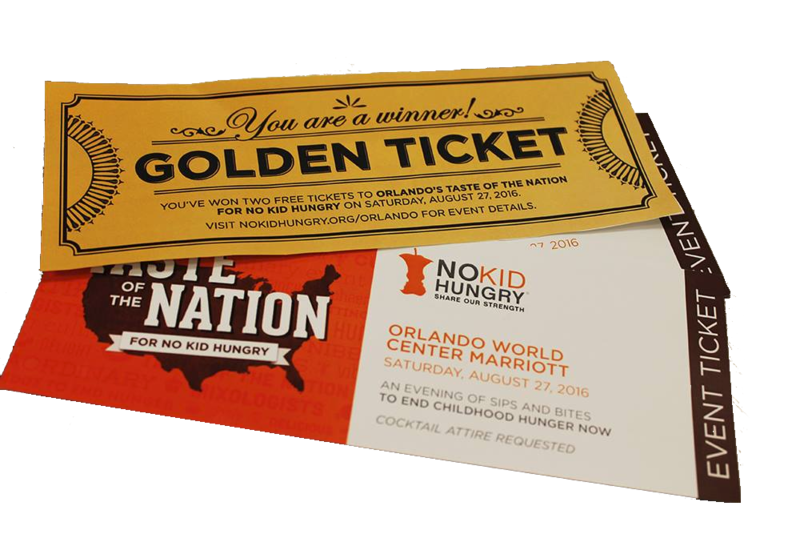 To purchase your ticket (general admission is $75), Call (407) 514-1017 or email Jennifer Landress, jlandress@feedhopenow.org. **What is SeaWorld putting up for auction? 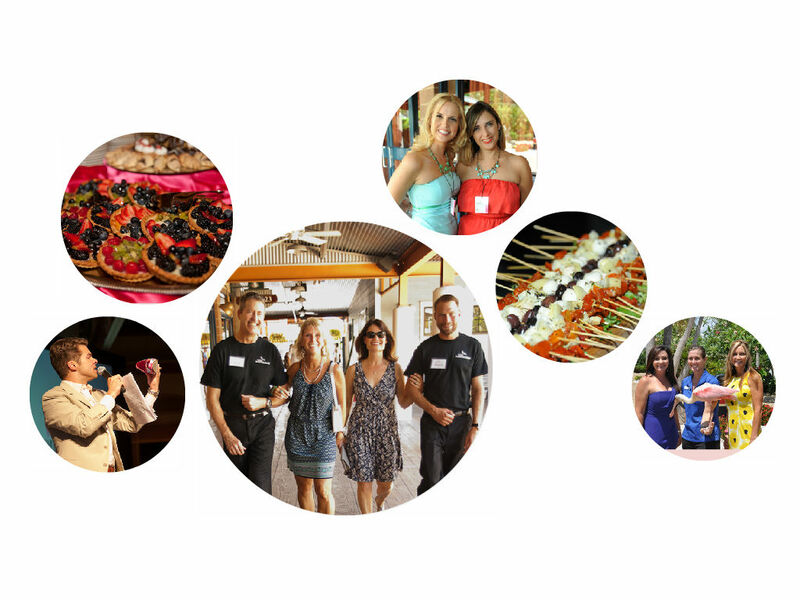 For the Live Auction: SeaWorld, Aquatica and Discovery Cove V-VIP package for six! 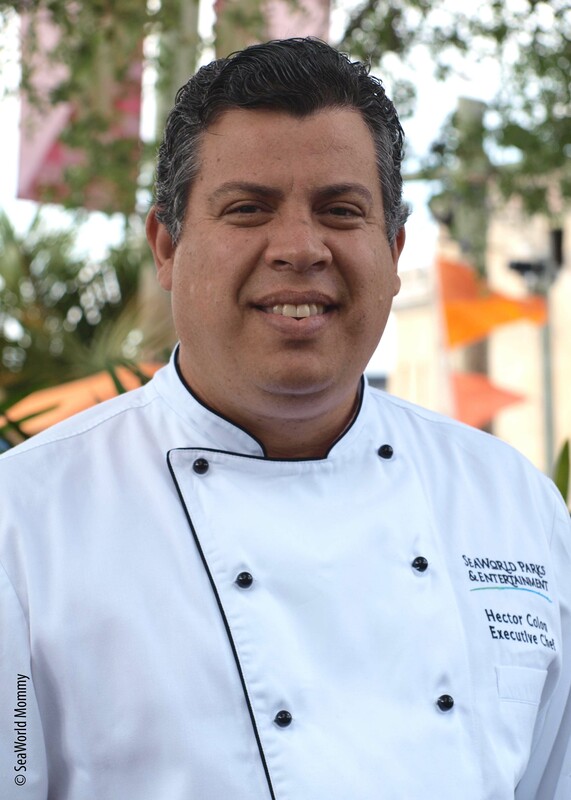 Hector Colon is the Executive Chef/Director of Culinary Operations for SeaWorld Orlando, Discovery Cove and Aquatica. His skills make him a sought-after chef, and he’s using his amazing food talents to raise funds for the Second Harvest Food Bank of Central Florida, Thursday, September 19, 2013 at the Morgan & Morgan, PA Hunger Relief Center at the Second Harvest Food Bank center, 411 Mercy Drive, Orlando, FL 32805. Chef Colon makes some incredible dishes, including Duck Confit over Wild Mushroom Grits (read about it and get the recipe here). 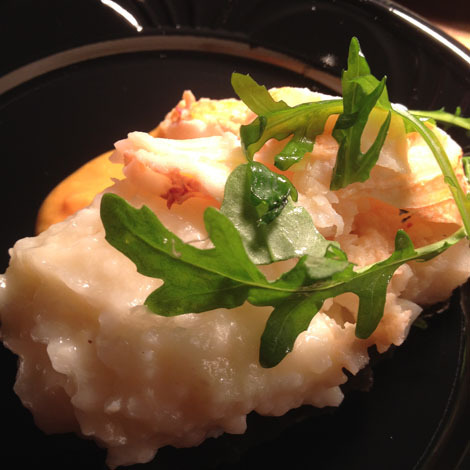 The Guest Chef Event, held monthly with local chef-celebrities, is a unique event for a select group of diners. Each event is limited to 100 diners. What’s especially unique is the live video feed from the kitchen to the dining room so guest can see all of the action. Also of special note, culinary students work alongside the guest chefs preparing each course as part of their Second Harvest culinary training core curriculum. 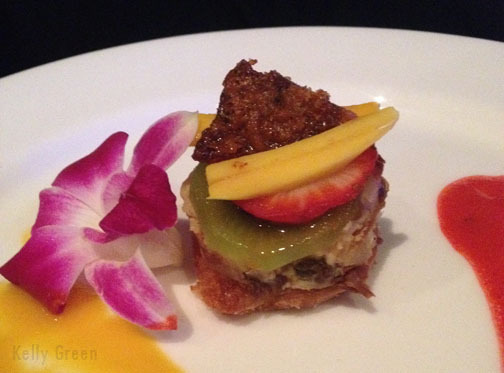 On the menu for the $50-a-plate fete? Proceeds for the event go back into the Second Harvest Food Bank hunger relief program, because one in 5 Floridians don’t know where there next meal is coming from. 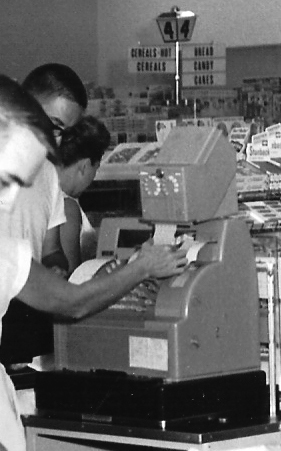 As a child growing up in Central Florida, I experienced hunger more times than I like to remember. My brother and I used to joke about having a “jam sandwich.” To make it, you take two pieces of bread, and “jam” them together. Our family did not have the resource of Second Harvest back then. (The Central Florida branch was founded in 1986.) 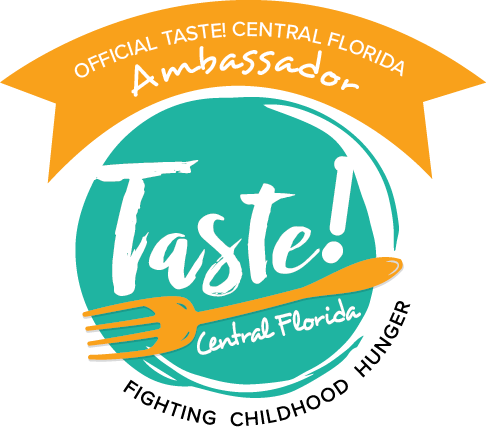 Thanks to the Guest Chef event, and other fund-raising efforts, more than 550 nonprofits will receive assistance in our area through the Central Florida Second Harvest Food Bank to help kids who are like I was, who need help from the community to have more than than a “jam sandwich” as a meal.